Paging Pixel. Pixel to the white phone. After learning some interesting details on the Army Corps of Engineers land lease my doghouse sits on.. I may actually buy this craptastic shack Lloyd and I call home. 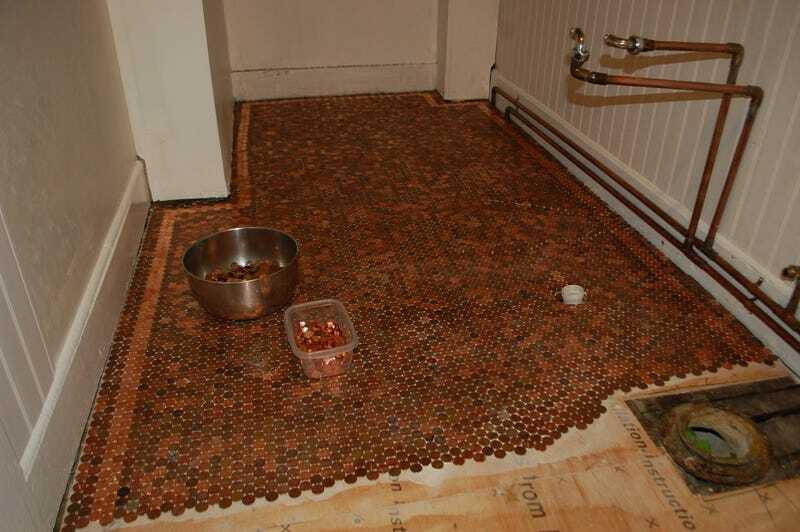 That Penny bathroom floor is literally the first project on my list!